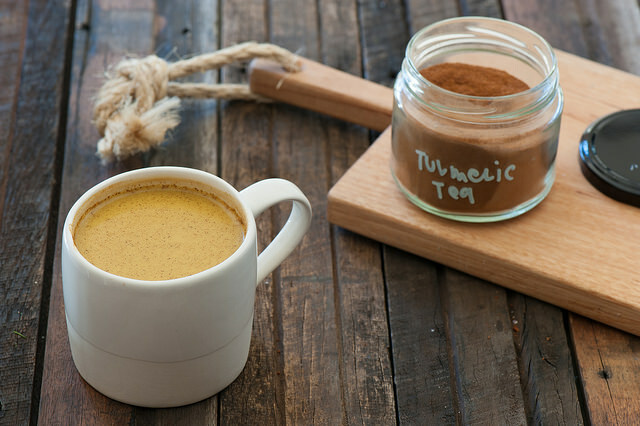 By now, you’ve probably heard that turmeric is an amazing superfood with health benefits that include fighting depression, heart disease, inflammation, and cancer (to name just a few!). 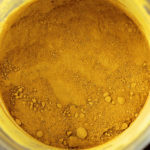 As an added bonus, turmeric powder is actually affordably to buy (you can buy high-quality organic turmeric in bulk here). So, there is no reason not to start adding this superfood spice to your life. It doesn’t take much turmeric to get health benefits. In the 9,000+ studies which have been done on turmeric, it has been shown that the spice produces benefits even in small doses. For example, in this study, it was found that turmeric in doses of 500 mg to 5 g daily (1tbsp = 6.8 g) helped alleviate acne and skin problems. 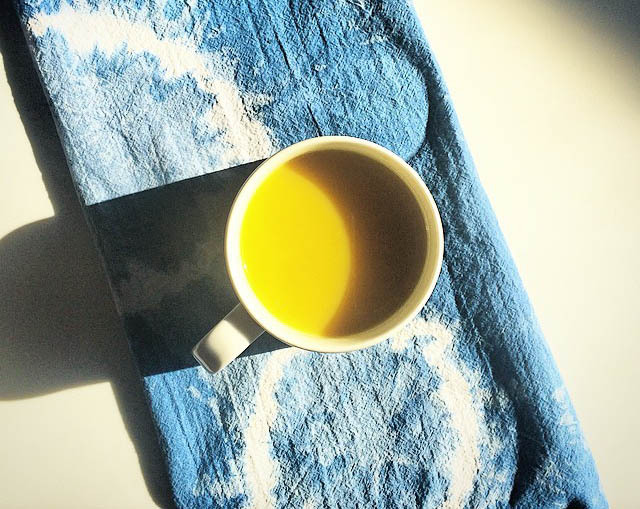 For those who aren’t used to using turmeric in cooking, turmeric tea might be the best solution to getting a daily dosage of the superfood. You can’t always get fresh turmeric root. In these cases, turmeric powder is a good substitute — and a lot more convenient since you don’t have to worry about chopping the root or having it stain your counters! Instructions: Boil the water on the stove. Remove from heat and add all of the remaining ingredients. Let sit for a few minutes before drinking. Instructions: Boil the water. Remove from heat and add all of the remaining ingredients. Let sit for a few minutes before drinking. Instructions: Bring water to a boil. Add cardamom, cloves, and cinamom stick. If using fresh ginger and turmeric, add them to the water too. Boil water for 5 minutes. Remove from heat and add the tea bag. Add the turmeric and ginger powder now. Let the tea steep for 5-10 minutes (depending on how strong you like it). Strain the tea, add honey and milk, and serve. Instructions: Put the star anise in the water. Boil the water for 5 minutes. Remove from heat and remove the star anise. Add all the other ingredients, mix, and serve. 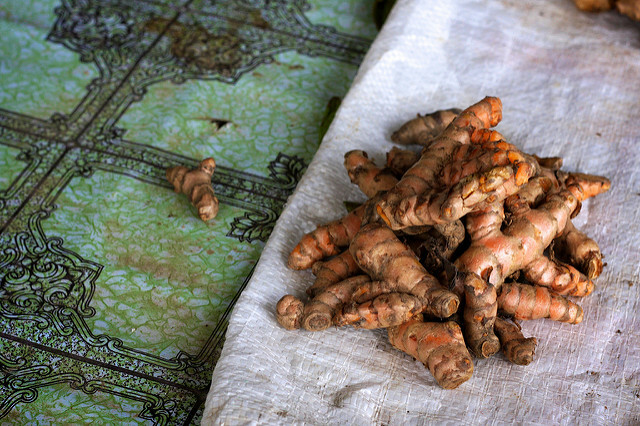 When possible, it is always best to use fresh turmeric for recipes. The fresher the ingredients, the more intact the nutrients, antioxidants, and healthy compounds are. FRESH TURMERIC STAINS so always be careful to protect your countertops. Unless you might having yellow fingers, then wear gloves too! 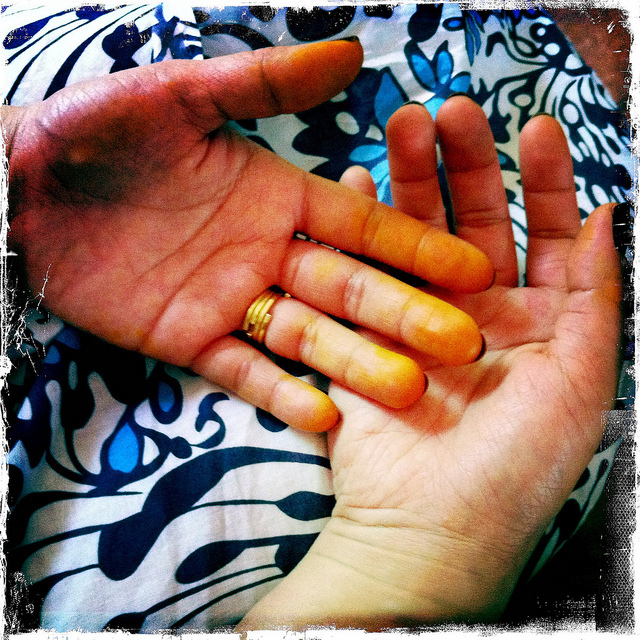 Yellow fingers from turmeric stains! If you can’t get a hold of fresh turmeric, don’t fret! 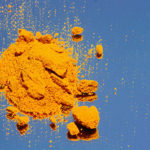 Powdered turmeric will still provide health benefits. Plus, powdered turmeric is a lot easier to use. You won’t have to worry about peeling the root or chopping it. In my experience, people don’t use things that are a hassle. So, if you are more likely to take turmeric daily in the powdered form, stick to it! Protect your counters before working with fresh turmeric. It stains! Wear gloves. Your fingers will turn yellow! Cut it into chunks or peel it. Add the fresh turmeric to boiling water. Let it boil for about 5 minutes. If you are using other fresh ingredients or whole spices, add them now. Remove from heat and let it sit for another 5 minutes. Now add any additional ingredients that didn’t get boiled, such as honey, cinnamon powder, or lemon juice. 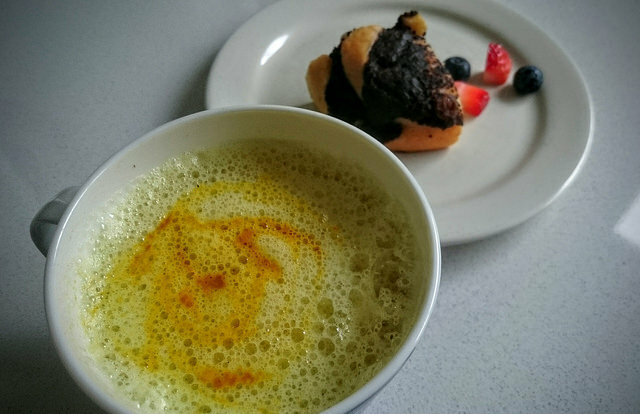 Why Do All the Turmeric Tea Recipes include Coconut Oil or Milk? 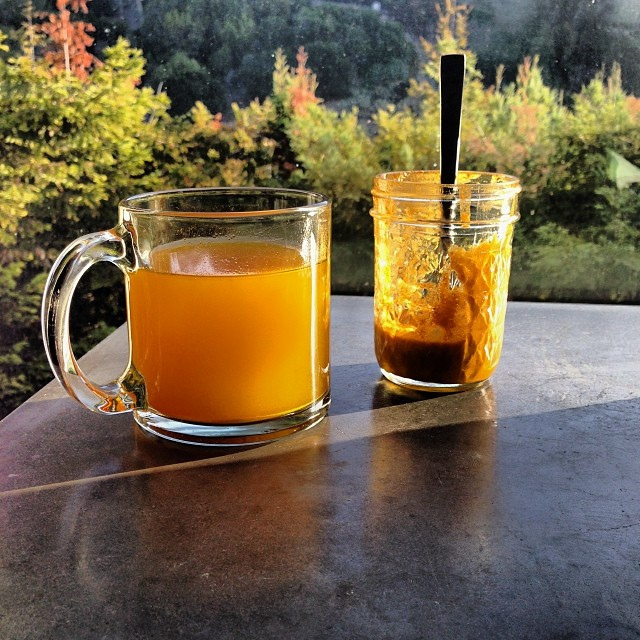 Read how to take turmeric for maximum bioavailability here. Avoid Boiling Turmeric for Too Long! 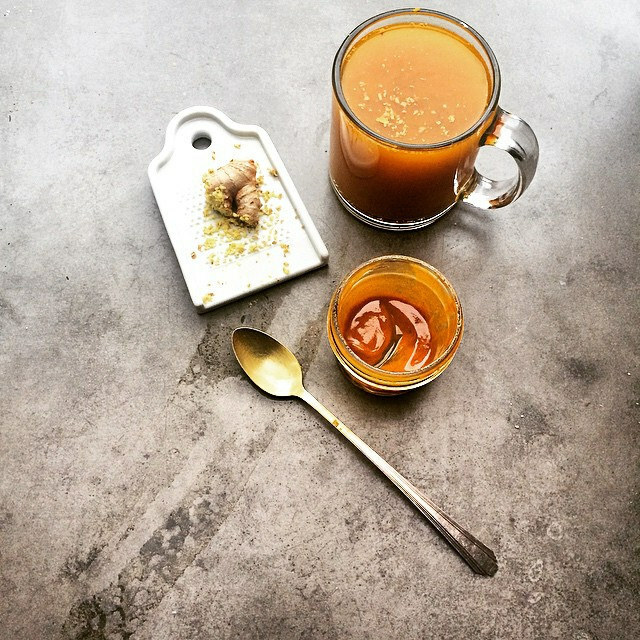 To make turmeric tea from fresh turmeric, you will have to boil the root. Otherwise, the nutrients won’t be released into the tea. However, you want to avoid boiling the turmeric root for too long because the heat will kill some of the nutrients. According to one report, the loss of curcumin (which is the main health-supporting compound in turmeric) was 27-53% from cooking. The higher amount was when turmeric was cooked for 10 minutes in a pressure cooker at very high heat. So, if you are just boiling turmeric root for 5 minutes, you shouldn’t lose too many nutrients. To play it safe, when using turmeric powder instead of the fresh root, don’t boil it. Just mix it into the hot water and let it sit for a bit before serving! Need to buy turmeric? You can get organic turmeric in bulk here!